“In God We Trust” was adopted as the official motto of the United States in 1956. “In God we trust” first appeared on U.S. coins in 1864 and has appeared on paper currency since 1957. In August 2015, Sheriff Doolen decided to add the motto to the Hardeman County Sheriff’s Office patrol cars. 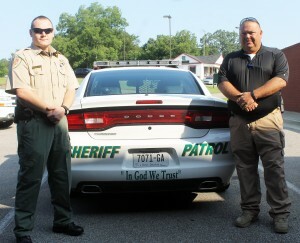 This logo came at no cost to the county thanks to Southern Designs of Bolivar who donated the decals. 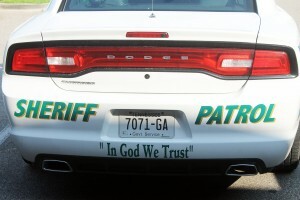 The motto is being placed on patrol cars all across the nation. 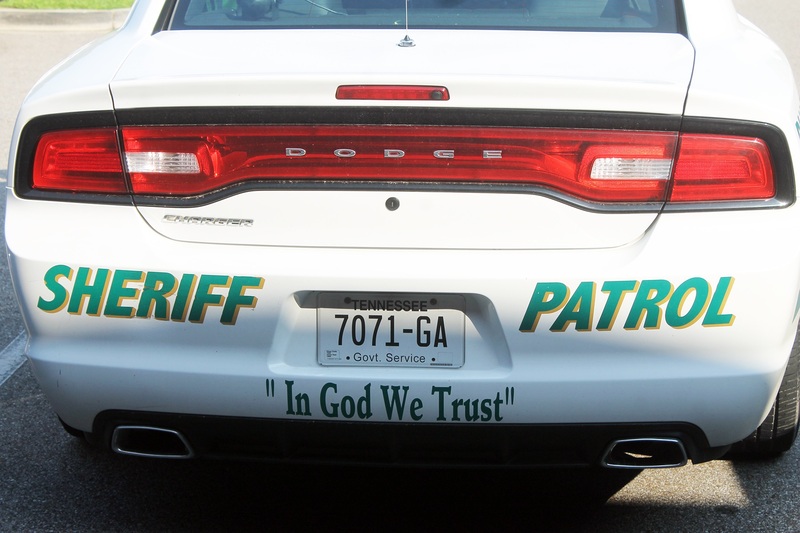 “With everything going on in the world right now, God is the only thing we can trust,” Sheriff Doolen said. Doolen said the phrase does not specify which God it is referring to and does not infringe on anyone’s rights. Categorized under: About, Community Updates, Press Release, The Sheriff's Desk.